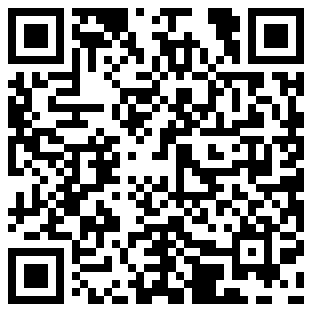 The Hockey Scores app has been updated to version 2.8 in order to accommodate the start of the 2011-2012 season. Without updating the app will not correctly show the games for the new season. This update also increases the font size on the new Bold 9900/9930 devices. 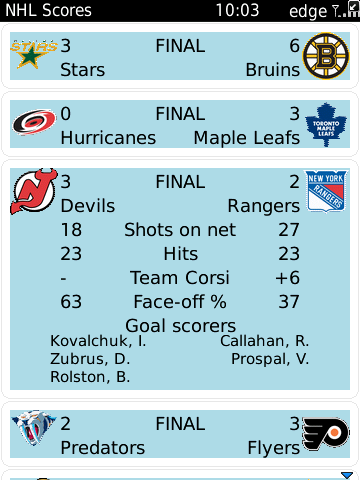 This application provides the day’s hockey scores is an intuitive and easy to use format. It also includes additional game statistics such as start times, goal scorers, shots on net, hits, faceoff percentage, team Corsi numbers, and the goal scorers. Additionally the app supports keyboard shortcuts for easy navigation, and a number of display options. All BlackBerry devices with OS 4.6.0 and higher are supported. Previous PostBBM Hackathon TorontoNext PostIs an object contained in an array?